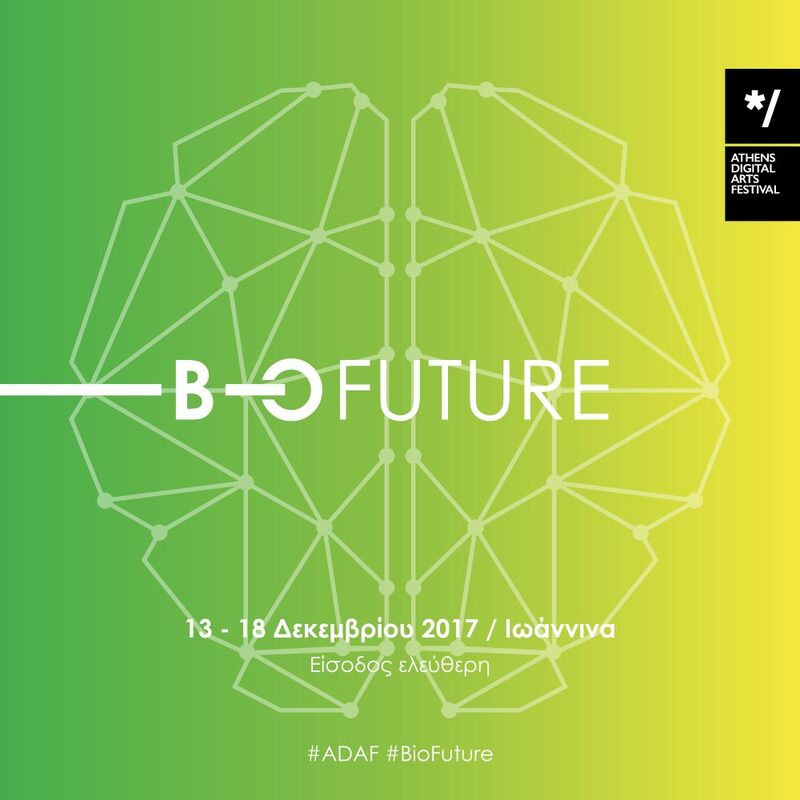 Athens Digital Arts Festival, in collaboration with the Department of Biological Applications and Technology and the Department of Fine Arts and Art Sciences of the University of Ioannina, organizes an exhibition, under the theme of BioFuture, from 14 to 18 December 2017, at the Municipal Gallery of Ioannina. Nowadays, as we experience a new reality where the physical and the digital intertwine, a new whole world emerges in which art, science and technology become one. Thus, the main objective of the exhibition is to explore the new art form that is shaped by the developments in biotechnology. Revolutionary discoveries, which result from scientific research in areas such as architecture and art, open up new roads forcing us to imagine a more “lively” future in every field around us. Consequently, art is changing, it is “becoming alive” and a new art form is emerging, BioArt. Athens Digital Arts Festival in cooperation with the Department of Biological Applications and Technology and the Department of Fine Arts and Art Sciences of the University of Ioannina present a video art compilation and video installations, introducing us to this new demanding but also fascinating art genre, BioArt. 1) Presentation of the exhibition at the new building of the Department of Biological Applications and Technology at the University of Ioannina on Wednesday 13 December at 17:00. Greetings from the director of the Athens Digital Arts Festival and the rest of the hosts of the exhibition. 2) Inauguration of the exhibition at the Municipal Gallery on Thursday 14 December at 18:00. Greetings from the hosts of the exhibition and from the Municipality of Ioannina.